UK universities are being accused of using "gagging orders" to stop bullying, discrimination and sexual misconduct allegations becoming public. Dozens of academics have told BBC News they were "harassed" out of their jobs and made to sign non-disclosure agreements after making complaints. Figures obtained by the BBC show UK universities spent about £87m on pay-offs with NDAs since 2017. Universities UK says using NDAs to keep victims quiet should not be tolerated. Non-disclosure agreements were designed to stop staff sharing trade secrets if they changed jobs, but now lawyers say they are being misused to protect serial perpetrators of misconduct, and ministers say they want to tighten the rules. Anahid Kassabian, a former music professor at the University of Liverpool, said she felt like she was treated as a "burden" and "bullied out" of her 10-year job after being diagnosed with cancer. She has broken her NDA in the hope that others who have been "through the same horrors" will realise they are "not alone" and will feel empowered to speak out. "We all think we're isolated and alone, sobbing over past wrongs, when in fact there are many, many of us, and if we could speak to each other it would feel very different," she said. 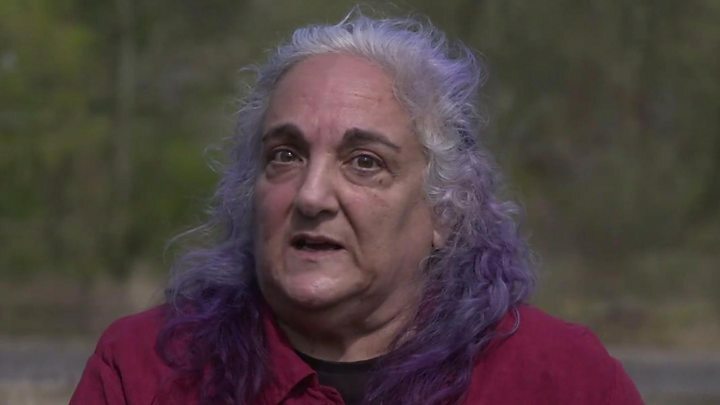 Ms Kassabian, 59, who also has multiple sclerosis and fibromyalgia, believes her medical conditions had led to her ability to work being called into question, without the causes of the emotional stress she was under being adequately addressed. But the BBC has seen documents that suggest the university felt it had done all it could to support Ms Kassabian, and it had a responsibility to support the teaching of students and work in the department as well as staff. The University of Liverpool said: "We refute these allegations in the strongest possible terms. Ms Kassabian was not subject to discrimination or bullying and the university did not fail to make reasonable adjustments. "Settlement agreements with a standard confidentiality clause are used for a range of cases including conduct, capability and redundancy. As we too are bound by confidentiality, we are unable to provide specifics in relation to her case." Another academic, Amy, not her real name, says bullying sparked her depression. "It's crippling my career," she told the BBC. Amy says she has been bullied for six years across two universities by the same man. Her NDA, seen by the BBC, explicitly names the senior academic whom she calls a "serial bully". It means she is legally required not to reveal details of the allegations or she risks being sued. "He told me I'd never have a successful career," she said. "He has done nothing but undermine my confidence; it's a complete abuse of power." After she put in a complaint, Amy says she was advised to sign an NDA and leave. "I ended up hundreds of miles away at a new university, only for him to follow me and continue his harassment. Because of the NDA I can't tell people what went on in the past. I can't tell them why he's doing this. "Universities would rather pay off people to leave, than push out the person doing the bullying." A source close to the settlement process, who has overseen a number of maternity and disability discrimination cases, said their university had a fund to get rid of staff with "significant health problems". Claims of the misuse of NDAs by universities follow high-profile cases in the film and business worlds. Emma Chapman, an award-winning astrophysicist, says she was sexually harassed by a man at University College London and received a £70,000 payout after a two-year legal challenge. She refused to sign an NDA in favour of a confidentiality waiver, believed to be the first of its kind, allowing her to defend herself. But Dr Chapman says the "trauma of the original incident is still there" with "nightmares of [her] house being set on fire". Shortly after her tribunal, she received several untraceable voicemails of a person laughing down the phone in the middle of the night. She reported it to the police, but there was no concrete evidence it was her harasser. Now a campaigner to end sexual misconduct in higher education with The 1752 Group, Dr Chapman wants "to see this culture of silence banished and confidentiality waivers being given as standard, so that victims can protect their careers and universities are held to account". UCL says it no longer uses NDAs for cases of bullying, harassment and sexual misconduct, but acknowledges that "historically" it has "not always got the balance right". "We hope this sends a clear message that these behaviours will not be tolerated," it said. "#MeToo has made clear that all institutions can, and must do better, in preventing and addressing these behaviours. UCL is no exception." The BBC sent Freedom of Information requests to 136 UK universities, asking how much they had paid in settlements that included "gagging clauses". Analysis of figures from 96 universities responding in full, reveal about £87m spent on about 4,000 settlements in the past two years. Many universities said they were unable to disclose why the agreements were signed, so it is unclear how many relate to allegations of bullying, harassment or sexual misconduct. Some universities attributed the bulk of their multi-million NDA spending to voluntary redundancy packages, but lawyers question whether, if such cases were truly voluntary, gagging clauses would be needed. Georgina Calvert-Lee, a senior barrister at McAllister Olivarius, has told MPs that NDAs are "overused to promote systemic discrimination and harassment" at universities. "The danger is that you may have one complaint put in, it's settled with an NDA, but then the university takes no action to prevent the misconduct happening again, and this exposes others to further misconduct by the same perpetrator," she said. Ms Calvert-Lee said that universities have to provide independent legal advice to affected staff, but that this is usually only "enough time to talk through the agreement and not about the circumstances that have led to it". Universities UK, which represents 136 institutions, said it was important to note that signing an NDA "does not prevent staff or students from reporting criminal acts to the police or regulatory bodies, or from making a disclosure under The Public Interest Disclosure Act 1998".